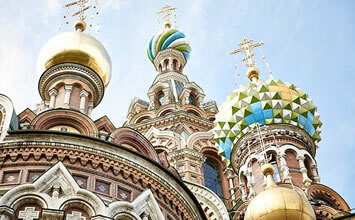 See Russia, gilded palaces and the top of the world aboard a Baltic & Scandinavian Gay Group Cruise. Explore the wonders of far-off lands, where Vikings and czars reigned. Travel back in time to medieval Tallinn, and stand in awe of Catherine Palace, Peterhof Palace and the spectacular onion-domed churches of St. Petersburg. Walk the medieval streets in Stockholm's Gamla Stan, and have your breath taken away by the pristine beauty of the Norwegian Fjords on a cruise to Scandinavia & Russia on the Regal Princess. 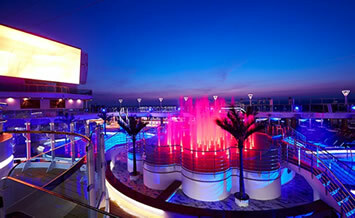 The Regal Princess is one of the newer ships in Princess’ fleet. Enjoy fine dining in the main dining room or one of the specialty restaurants. Pamper yourself at the spa, or on sea days relax poolside and watch the world go by. After dinner, be sure to be entertained by Las Vegas-like review shows, comedians and illusionists. We selected what has become the most desirable and popular European itinerary. 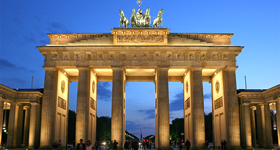 Our cruise sails roundtrip from Berlin, maybe the most decadent and historic cities in Europe. 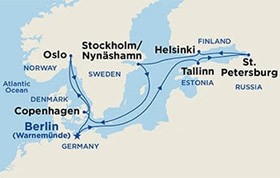 Our sailing will include stops in all the Scandinavian capital cities. We will visit Oslo (Norway), Copenhagen (Denmark), Stockholm (Sweden), Helsinki (Finland), Tallinn (Estonia) and two full days (overnight) in glorious St Petersburg (Russia). In many cities we will offer private sightseeing tours. Stand in awe of the historic 17th-century warship in Stockholm's Vasa Museum. Enjoy a tasting menu of Finnish delicacies at Helsinki's acclaimed Restaurant Savu. Gaze upon the 220-pound pure gold dome of St. Petersburg's St. Isaac's Cathedral. Immerse yourself in the beauty of coastal Norway, visit a stone-age farm in Stavenger, and enjoy scenic cruising along the snow-capped mountains of Geiranger Fjord. Discover Kronburg Castle, made famous by Shakespeare's Hamlet, north of Copenhagen. Visit the Peter and Paul Fortress, the first structure in St. Petersburg built by Peter the Great, and recall imperial history at the Reichstag in Berlin. Tour Helsinki's massive fortress Suomenlinna, considered the "Gibraltar of the North" and its famed Temppeliaukio church, which is carved into bedrock. Each city has its own distinct flavor and charm. 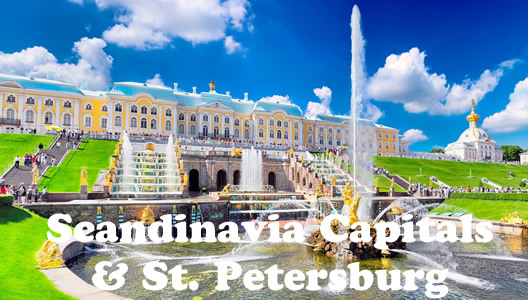 With the two full days in St Petersburg we will get the chance to see the famed Hermitage museum, one of the greatest museums in the world Also visit the Peterhof (summer palace), Mariinsky Theater, St Isaac’s Cathedral, and so much more. With Princess Cruises you can experience it all. 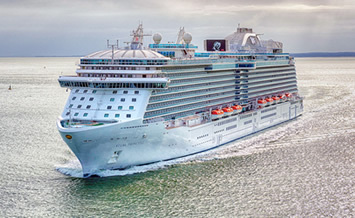 Princess Cruises has a successful history of more than 50 years. Once known from the original "Love Boat" TV-series, today Princess Cruises is renowned for a modern and luxurious way of travelling. 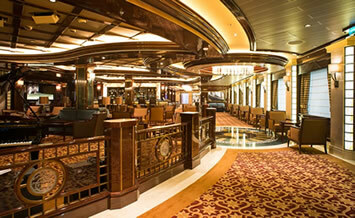 Guests enjoy great service, first-class catering and interesting itineraries. Because of the international guests and English as the on board language we recommend travellers to have a fairly good command of the English language to make the cruise a pleasant experience. 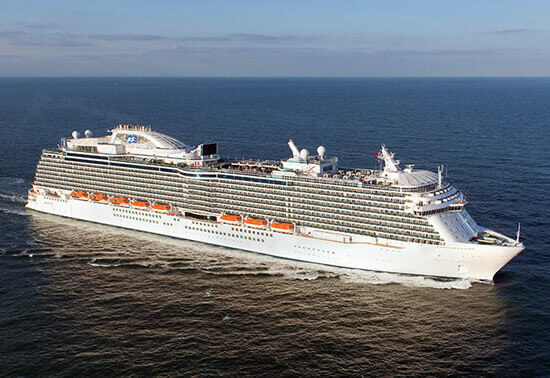 Built in 2014 the Regal Princess offers space for up to 3,560 passengers. With a length of 330m she is one the largest cruise ships in the world. 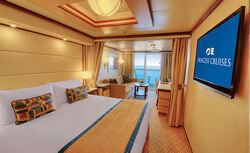 Thanks to Princess Cruises' "Big Ship - Small Ship Feel" concept guests nevertheless enjoy a feeling of intimacy on board. A special feature on the Regal Princess is the "SeaWalk" - a glass-paneled walkway extending several meters beyond the edge of the ship. On the Regal Princess you will enjoy all amenities of a large and modern ocean liner, but at the same time get the intimate feeling of much smaller ships. Many small bars, lounges and public areas are one reason - the crew's individual and discreet service is another. Though most guests are English native speakers the travellers come from all over the world and create an international and classy atmosphere. This is reflected in the dress code: casual during the day and elegant in the evenings. 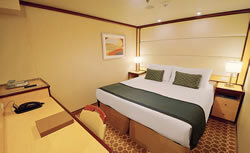 All staterooms are spacious, comfortably equipped and provide enough storage room for your luggage. 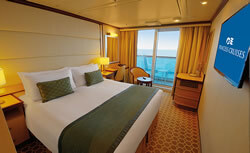 Staterooms have a minimum size of 16m². 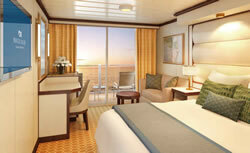 Most of the cabins on board feature a private balcony. Gourmets will be delighted by the excellent food on board Regal Princess. No matter if you dine in the included buffet and à la carte restaurants or in one of the specialty restaurants - quality and taste have a superior level. Guests may choose between the traditional early and late dining with assigned tables or "anytime dining", where you are free to dine whenever it suites you best. 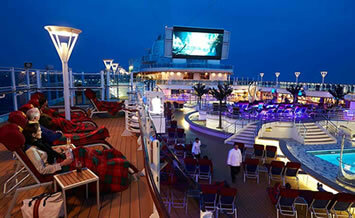 Princess Cruises is famous for their "movies under the stars" where the pool deck turns into a romantic cinema. Daily shows are entertaining the audience in the evening, the Casino invites all who love to play and several lounges and bars are ideal places to socialize. 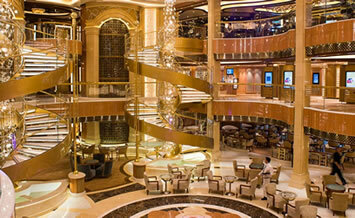 On the other hand the Regal Princess offers wonderful places to relax and enjoy calmness. The large Spa area is the perfect place to revitalize yourself. For all those who enjoy sports the fitness center, a jogging track, the court for volleyball, basketball and tennis are some of the places to be. 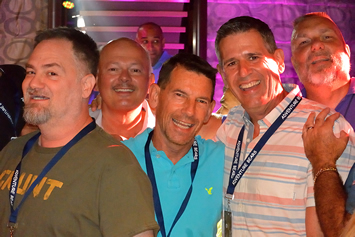 Cruise Designs provides a stress free, fun, upscale memorable vacation experience and gives like-minded gay men an opportunity to make lasting friendships. You can choose be social and active or just chill out and relax. 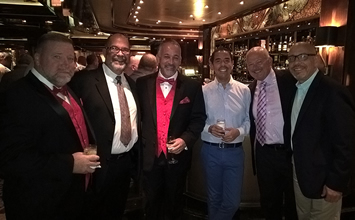 Our cruises will appeal to the more relaxed yet fun loving guys. 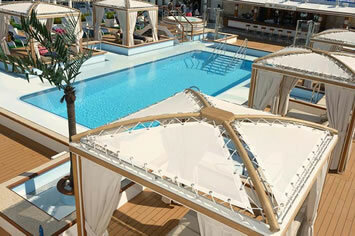 We offer the best of both worlds with rates far lower than gay chartered ships. Enjoy exotic ports of call, exclusive group on-board activities, entertainment, and of course outstanding cuisine and service. We also offer our own private shore excursions available only to our guests. In order to participate in our events you must make reservations with us. Unfortunately people booked through a different source cannot be included as part of our gay group. 19 May A Day at Sea! 22 May A Day at Sea! 28 May A Day at Sea! Berlin is a worthy rival to London or Paris in terms of history, art and culture. The city's highlights include the restored Reichstag Building with its magnificent glass dome, the Brandenburg Gate and the stunning Museum Island. Explore the old Cold War hot spots and view the Brandenburg Gate, restored to its original magnificence. Or, stroll along the Kurfurstendamm and take coffee in a local café. Warnemünde is a seaside resort near the harbor entrance to Rostock, one of the city-states that formed the medieval Hanseatic League. Originally a fishing village before it became a spa and resort in the 19th century. Warnemünde is also your gateway to Mecklenburg and the German countryside. Forest-clad slopes plummet to an island-studded fjord. Welcome to Oslo, Scandinavia's oldest capital city. The commercial center of Norway, Oslo has been a major trading port for over a millennium. Its harbor is crowded with shipping that ranges from cruise ships to workaday shrimp boats. 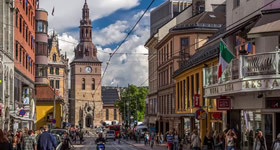 Though a relatively modest city in size - some 550,000 Norwegians call it home - Oslo is one of the largest capital cities in the world in terms of area. The hills and lakes of its outlying countryside are a paradise for lovers of winter sports. And the city itself boasts a sophisticated, yet cozy charm, with a blend of 19th- and 20th-century buildings, many decorated with woodcarvings and bright frescoes, and wide avenues dotted with public squares and parks. Oslo is the least populous capital in Scandinavia. The city offers excellent theater, great cafés and quality shopping. Copenhagen deserves its accolade as the Venice of the North. Founded on a series of islands and islets, the city today is laced with graceful canals and boasts some of the most delightful architecture in Northern Europe. See the fabled statue of Hans Christian Andersen's Little Mermaid, a symbol of the city. 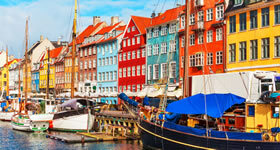 Stroll along the old harbor of Nyhavn, lined with cafés, restaurants and 500-year-old gabled houses. Browse the superb shops on the world-famous Stroget or view the Rococo palaces lining Amalienborg Square. Best of all, savor the taste of local delicacies while wandering the paths of Tivoli Gardens, one of Europe's most celebrated pleasure gardens. The small rocky harbor of Nynashamn is your gateway port to Stockholm, the "Capital of Scandinavia." 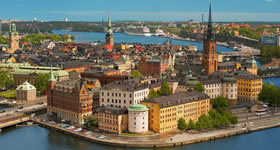 The city began life over seven centuries ago as a Viking stronghold built on the island of Gamla Stan. Today, Stockholm covers 14 separate islands and is interwoven with bays, channels and inlets. The city skyline is a sea of copper roofs grown green with patina, towers, spires and graceful cupolas stand sentinel over the historic Old Town (Gamla Stan). A city of nearly a million people, Stockholm is one of the world's most beautiful, clean, and orderly metropolises. Perhaps their country's harsh climate encouraged the Finns' love and respect for design and the arts. Whatever the cause, there's no denying that Helsinki is one of the most vibrant and beautiful cities in Scandinavia. Hailed as the "Daughter of the Baltic," Finland's capital is a city of graceful neoclassical buildings, striking modern architecture and spacious boulevards dotted with squares and parks. In the past century, Finland has nurtured some of the major creative talents of Western culture, from the composer Sibelius to architects Eliel & Eero Saarinen and Alvar Aalto. 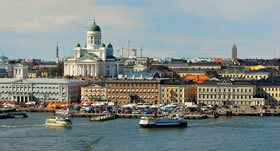 The center of Finnish commerce and culture, Helsinki is home to some 616.000 people. 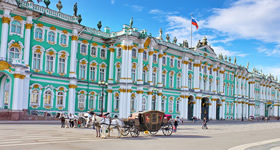 Much of the city's neoclassical architecture dates from the period of Tsarist rule, which began in 1809 after political control of Finland passed from Sweden to Russia, Finland gained its independence in 1917. Like Latvia and Lithuania, the Baltic republic of Estonia has survived a turbulent history. The small nation was conquered and ruled by the likes of Teutonic Knights, Polish princes and Russian Tsars. For 51 years, Estonia remained a pawn in the Soviet empire, until the burgeoning freedom movement led to independence for the Baltic Republics in 1991. Like its sister republics, Estonia maintained its ties to the Western tradition, retaining the Latin alphabet and Catholic and Protestant faiths. Once a member of the historic Hanseatic League, Tallinn is the political, commercial and cultural center of Estonia. IB - Interior Cabin The Interior stateroom is approximately 166 to 175 square feet and richly appointed with fine amenities. Twin beds that convert to a queen size bed*. Private bathroom with shower. Shampoo, conditioner, body lotion. 100% Egyptian cotton linens. Satellite TV, refrigerator, hair dryer, safe, closet, phone and desk. 110V, 60-cycle alternating current (AC) with standard U.S. plug fittings. Daily housekeeping service. Evening bed turn-down, chocolates on your pillow. BB- Balcony Cabin The spacious approximately 222 square foot Balcony stateroom is appointed with fine amenities and outstanding views from an approximately 41 square foot private balcony. Balcony with patio furniture. Twin beds that convert to a queen size bed. Private bathroom with shower. Shampoo, conditioner, body lotion. 100% Egyptian cotton linens. Satellite TV, refrigerator, hair dryer, safe, closet, phone and desk. Daily housekeeping service. Evening bed turn-down, chocolates on your pillow. Taxes and charges of $260 pp, pre-paid gratuities ($135 per person, will be added to your onboard bill), and optional insurance are additional. Rates are only an example of starting rates and are subject to availability. 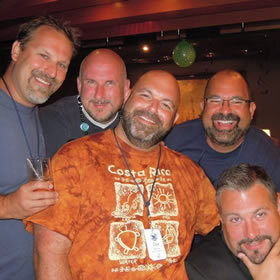 Also included are the traditional Cruise Designs gay group cruise activities, subject to minimum participation.